The year of Pig is around the corner. 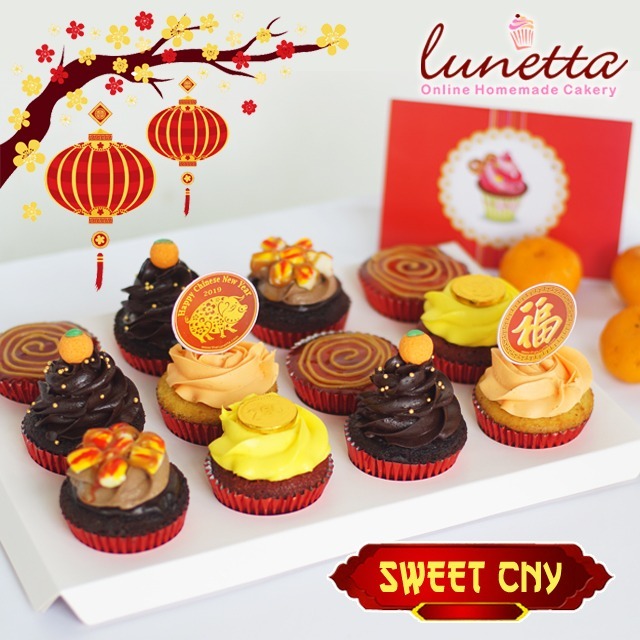 Let’s celebrate this big festive with our CNY hamper. This year , our seasoning flavor Orange Vanilla Cupcakes is back! 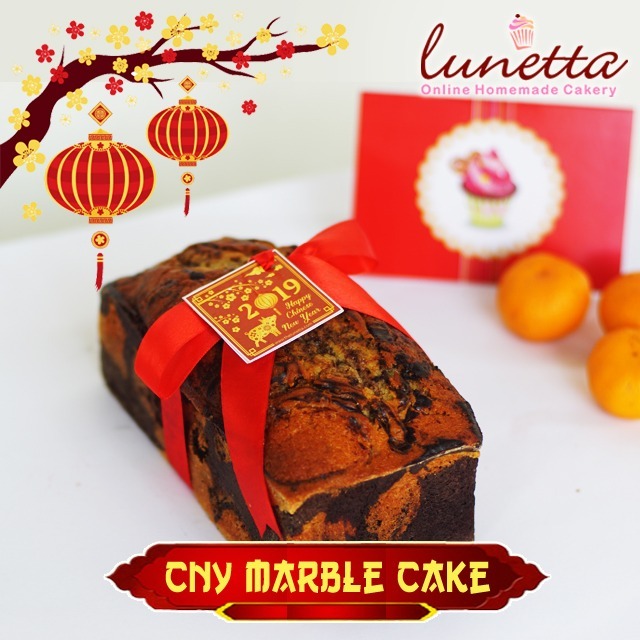 It’s vanilla cupcakes with orange flavor and with chocolate orange frosting.And we are pleased to introduce new Orange Marble Cake, the marble cake with Mandarin orange taste sensation. 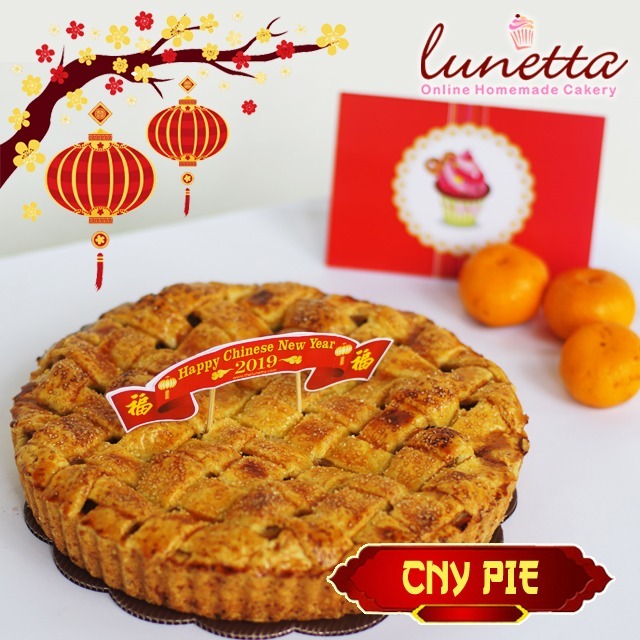 Other hamper are pies with 3 variants flavors ie Apple Pie , Browni Choco Pie and Pineapple pie . All packages get extra blank card and box with red ribbon. Promo delivery is by latest February 4, 2019. To order, please go to Order FORM or contact us at SMS/WA 081318984452. Order Now! 1 box of 12 reguler cupcakes , 5 flavors, 1 free card. Flavors are : Choco monster, Red velvet, Orange vanilla, Peanut Butter Jelly Cheese Cake, and Choco marshmallow. Cost idr. 320k*. 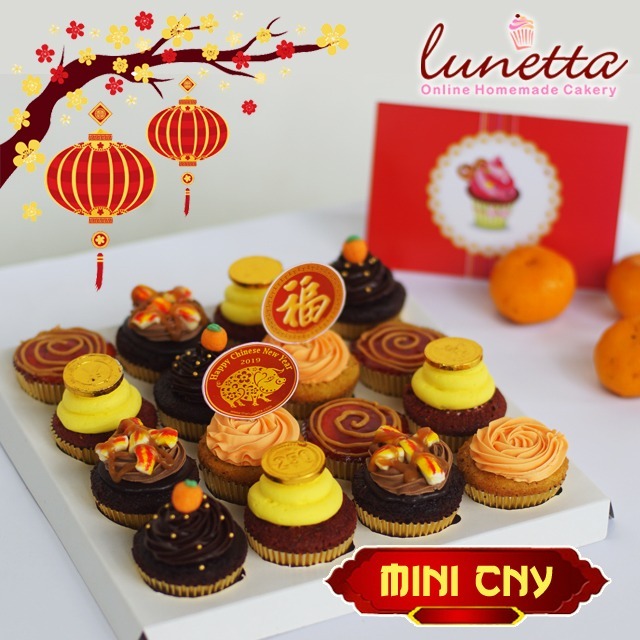 1 box of 16 mini cupcakes, 5 flavors, 1 free card. Flavors are : Choco monster, Red velvet, Orange vanilla, Peanut Butter Jelly Cheese Cake, Choco marshmallow. Cost idr. 280k*.